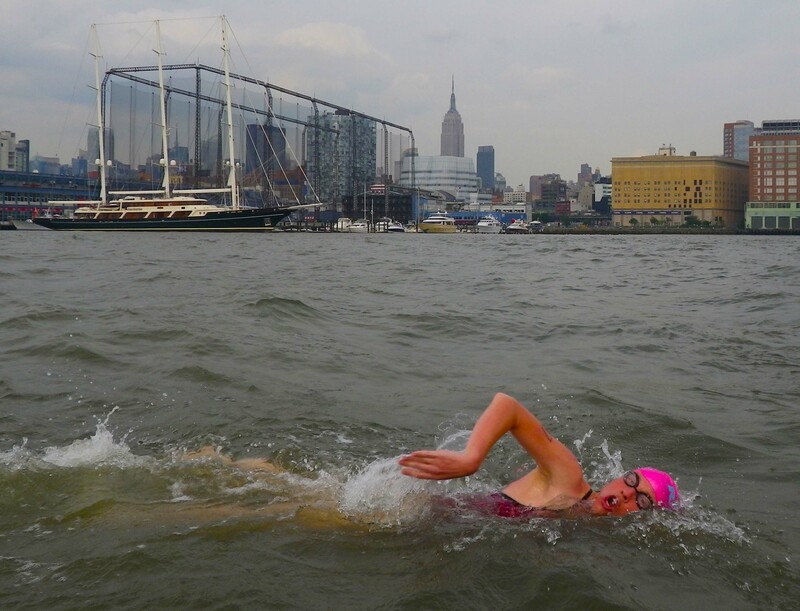 This entry was posted in New York City, Photography, Sports and tagged Clean, Long-Distance Swim, Manhattan Island Marathon Swim, New York City, New York Harbor, Photography, postaweek, postaweek2014, Swimming, Travel, Weekly Photo Challenge. Bookmark the permalink. Depends on the date and on how advanced the season is that year, and of course on each swimmer’s preferred temperature! 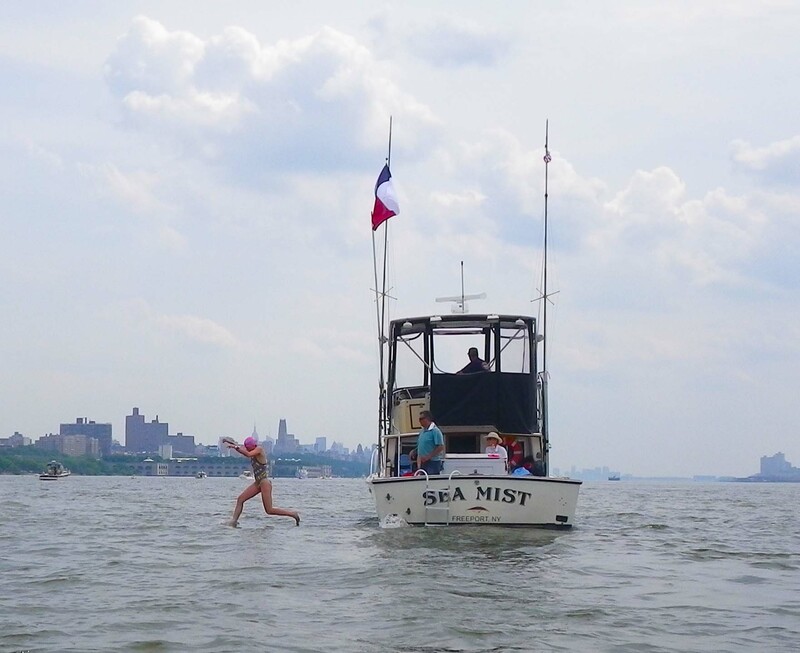 Most often the race is run (I guess I should say “swum”) sometime around the middle of June, when the water is usually in the mid 60s (Fahrenheit)—just right for most swimmers who take part. 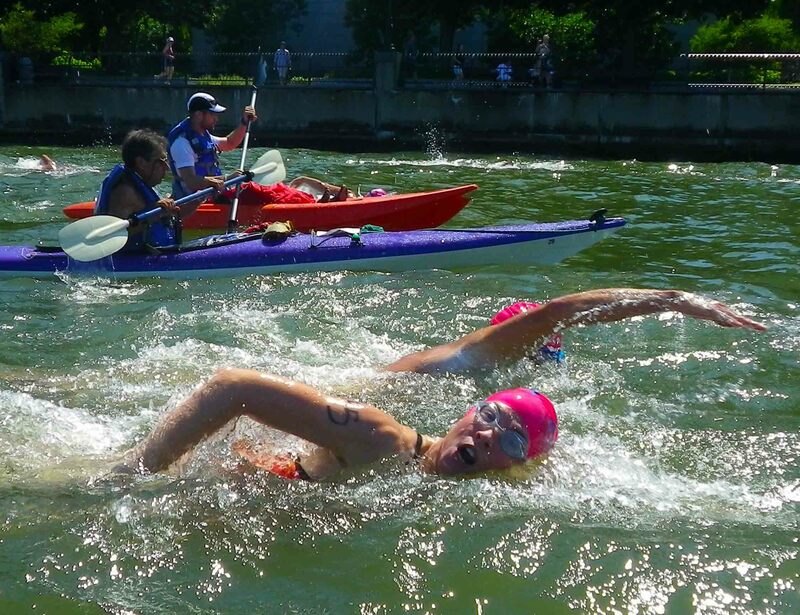 But last year the race was in early June and the water temperature was only in the upper 50s in some parts of the river. That was too cold for some swimmers, and a number had to withdraw (for that and other reasons). On the other hand, one or two years the race was in July, and the water temperature was in the 70s. Many swimmers found themselves overheating. I’m glad to hear that the water is clean and available for swimmers. It looks extremely inviting. 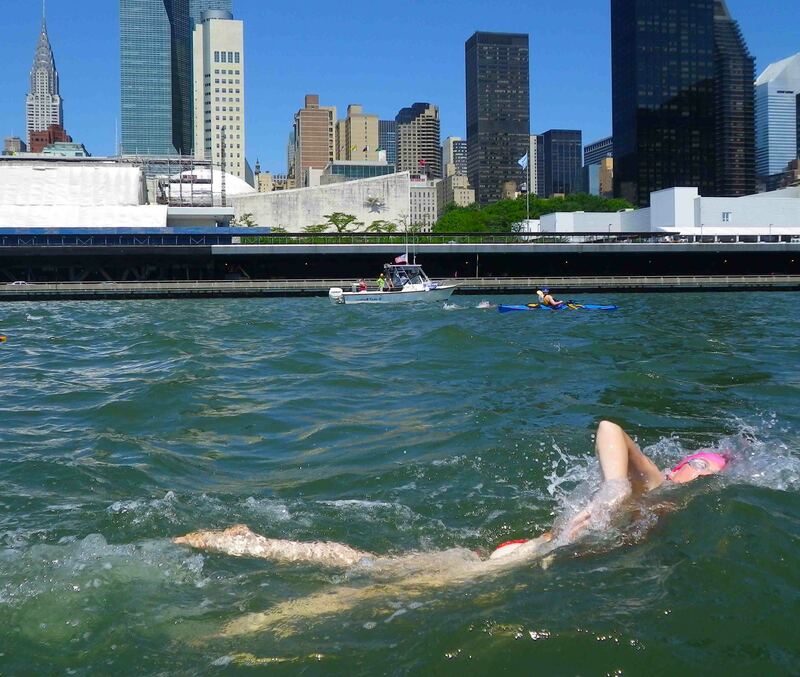 In going round Manhattan, the relay of the Lone Starlettes went through a lot of swimsuits! Sure the water’s clean enough to swim in. But watch where you walk on the streets! Yikes about the chemicals & bacteria! 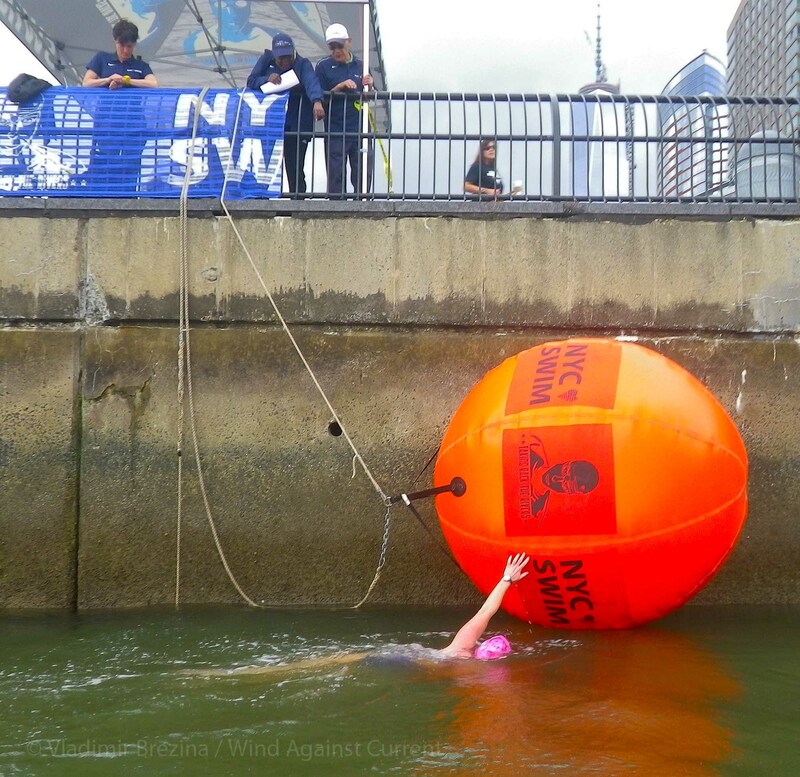 Some of the chemicals, such as PCBs, were dumped into the Hudson River (and other waterways such as Gowanus Canal and Newtown Creek, which you definitely want to avoid!) years ago and are mostly buried in the bottom mud, so that a short swim probably won’t do much harm. Bacteria (sewage) can overflow into the waterways after a heavy rain and have been an issue in past swims when it rained a lot just before. Yikes! I think I’ll simply enjoy the water from land or photos. :-) All very interesting to know, however. Thanks. P.S. Have you ever fallen in the water on your kayaking trips? Did you ever have a mishap with kayak in the water? Well, you don’t want to think of kayaks as of “normal” boats, where everything depends on keeping the boat upright and the water out of it. In a kayak, you are half in and half out of the water. In calm water you can stay reasonably dry, but in bigger waves the water comes over you whether you like it or not. And then of course many kayak strokes and maneuvers require you to immerse yourself partly or completely in the water, and you should practice those. I don’t do enough of that; Johna does more. But in any case, to be comfortable kayaking you need to think of it in those terms, rather than staying out of the water at all times. :-) Indeed! What will be next? Oysters? we could send over some Sydney rock oysters … haha! well hurray for the oysters, but a bit scratchy for the kayakers! how fun – what a nice take on the theme! :) and woo hoo – go NY!